Our winds program offers students the opportunity to study flute, clarinet, or oboe, and play in an ensemble. 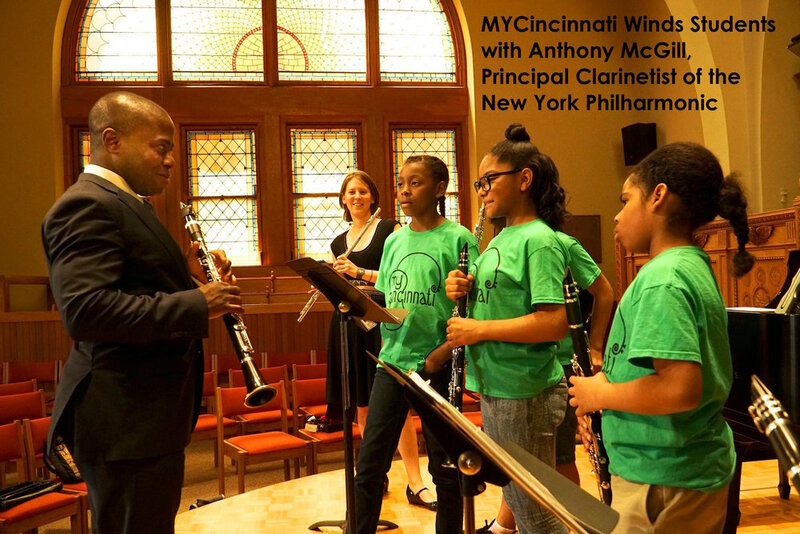 Currently, MYCincinnati has 15 students enrolled in the winds program, with two levels of ensemble. Activities include ensemble rehearsals, sectionals, private lessons, and chamber music. Our winds students have collaborated and performed with clarinetist Anthony McGill, the Cincinnati Chamber Orchestra, Wayside Winds, and more.